Profile is a blend of many of our finest lots of Cabernet Sauvignon, Merlot, Petit Verdot and Cabernet Franc, chosen for their concentration, depth of flavor and fine tannin structure. This wine was aged in mostly new French oak chateau ferre barrels and bottled unfiltered. It is opulently structured and very dark. 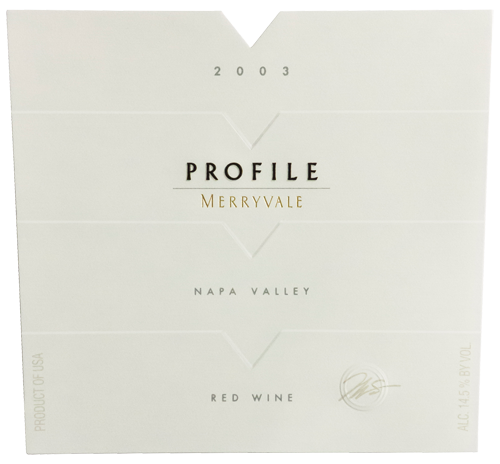 2003 Merryvale Profile (Napa Valley). Deep, rich, well-focused (indeed, penetrating) cassis, blackberry, licorice and nutty oak flavors.